Summary: A new study from Cardiff University researchers reveals the human brain may require fewer initial cells to grown compared to mice and monkeys. A team from the University of Oxford and Cardiff University have used mathematical models to re-enact the complex process of brain development that occurs as initialising cells, otherwise known as progenitor cells, start to grow and begin to differentiate into more specialist cells at various points in time. By applying this experimentally realistic model to mice, monkeys and humans, all of which use roughly the same type of raw materials to develop a brain, the team identified the different brain development strategies that separates each of the three mammals. In particular, the equations looked at the ability of progenitor cells to divide either into more progenitor cells or into neurons. The equations were then linked to real-life experimental data from mice, monkeys and humans and used to predict the original population of progenitor cells before the brains started to develop. The results showed that the human brain may develop from fewer raw materials compared to both mice and monkeys, which is surprising given that a human brain is much more complex than that of a mouse. Indeed, the cerebral cortex in the human brain, which is accountable for high cognitive functions such as language, memory and movement, contains approximately 16 billion neurons – the cerebral cortex of a mouse contains around 14 million neurons. Similarly, the brain of a mouse weighs around 400 mg whereas a human brain weighs roughly 1,500,000 mg.
Interestingly when comparing the brain of a monkey to a mouse, the results showed that the monkey brain is developed from more initial cells, leading to the creation of a larger brain. The team have proposed that as the human brain has been formed and sculpted through more than 500 million years of evolution, it has been able to develop more strategic ways of creating complex structures with fewer cells. In further studies the team hope to use their mathematical models to shed more light on how these strategies may have advanced through evolution and, potentially more importantly, understand diseases where it may well be that different brain strategies are realised, such as schizophrenia, epilepsy and Zika-virus induced microcephaly. Dr Thomas E. Woolley of Cardiff University’s School of Mathematics said: “This project has really brought together the complementary strengths of the mathematicians and biologists. In particular, the mathematics has highlighted the next most important experimental steps”. Dr Noemi Picco, from the University of Oxford, said: “To produce a larger brain we can either stretch development over a longer period of time or adopt an altogether different developmental program to produce neurons more efficiently within the time available. The results showed that the human brain may develop from fewer raw materials compared to both mice and monkeys, which is surprising given that a human brain is much more complex than that of a mouse. NeuroscienceNews.com image is in the public domain. Professor Zoltán Molnár of Oxford’s Department of Physiology, Anatomy and Genetics said: “The modelling helped us to realise just how little we currently know about the comparative aspects of cerebral cortical development. The results have been published in the journal Cerebral Cortex by a team of mathematicians and neurobiologists from University of Oxford, Cardiff University and the Achucarro Basque Center for Neuroscience. Funding: The research was supported by a grant from the St John’s College Research Centre. Original Research: Open access research for “Mathematical Modeling of Cortical Neurogenesis Reveals that the Founder Population does not Necessarily Scale with Neurogenic Output” by Noemi Picco, Fernando García-Moreno, Philip K Maini, Thomas E Woolley, and Zoltán Molnár in Cerebral Cortex. Published April 21 2018. Cardiff University “Less is More When it Comes to Developing Bigger Brains.” NeuroscienceNews. NeuroscienceNews, 4 May 2018. 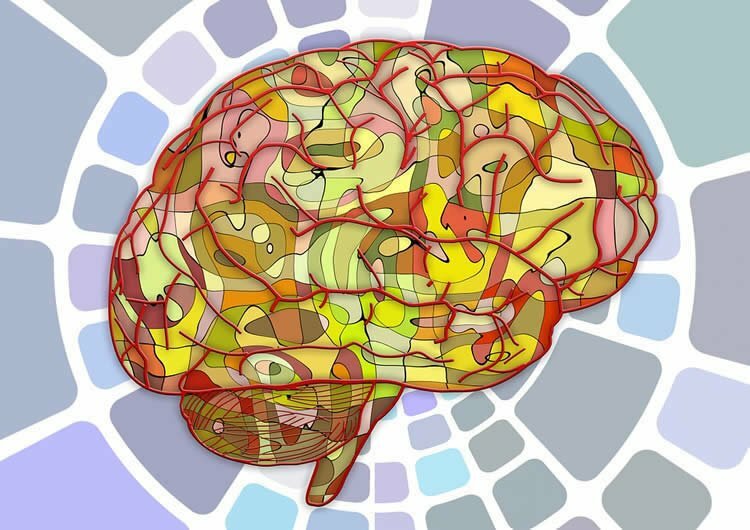 Cardiff University “Less is More When it Comes to Developing Bigger Brains.” http://neurosciencenews.com/brain-development-cells-8966/ (accessed May 4, 2018). The mammalian cerebral neocortex has a unique structure, composed of layers of different neuron types, interconnected in a stereotyped fashion. While the overall developmental program seems to be conserved, there are divergent developmental factors generating cortical diversity amongst species. In terms of cortical neuronal numbers, some of the determining factors are the size of the founder population, the duration of cortical neurogenesis, the proportion of different progenitor types, and the fine-tuned balance between self-renewing and differentiative divisions. We develop a mathematical model of neurogenesis that, accounting for these factors, aims at explaining the high diversity in neuronal numbers found across species. By framing our hypotheses in rigorous mathematical terms, we are able to identify paths of neurogenesis that match experimentally observed patterns in mouse, macaque and human. Additionally, we use our model to identify key parameters that would particularly benefit from accurate experimental investigation. We find that the timing of a switch in favor of symmetric neurogenic divisions produces the highest variation in cortical neuronal numbers. Surprisingly, assuming similar cell cycle lengths in primate progenitors, the increase in cortical neuronal numbers does not reflect a larger size of founder population, a prediction that has identified a specific need for experimental quantifications.